A couple of weeks ago I spent a day underground at the 'Secret Nuclear Bunker' at Kelvedon Hatch in Essex. It's a special, if rather eerie place; very evocative of the Cold War era. 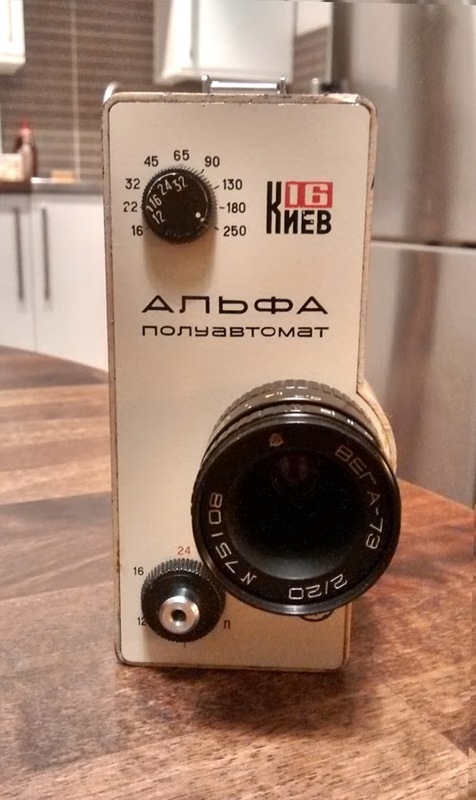 I took my Nizo super8 camera, a tripod and a couple of small LED video lights and shot one cartridge of the Argenti B&W negative film down there. I found plenty of interesting things to shoot, but unfortunately encountered a jam on the second cartridge I tried to use that day. Although I was in there for four to five hours, I just ran out of time! 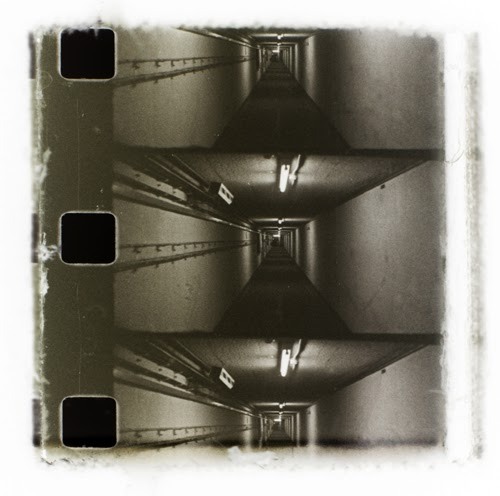 Anyway, this week I processed the first film cartridge (standard B&W Ilford ID11 processing) in my DIY spiral processing tank. 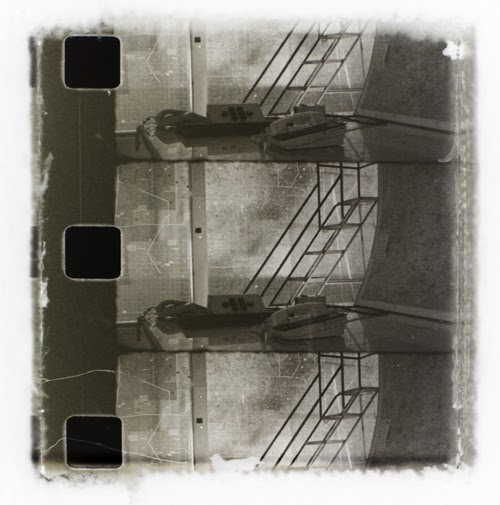 Tonight I'm scanning the first 50 feet of Super 8 film frame by frame using my DIY super8 film digitizer. As I write this, the system is clicking away. 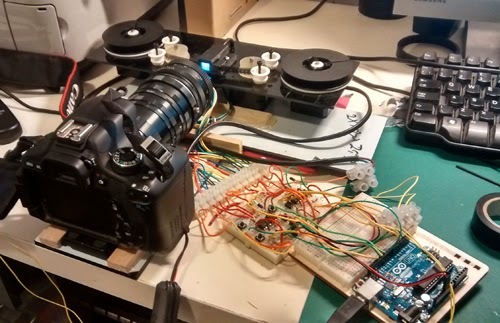 The current version of this device uses 4 stepper motors and some 3D printed sprocket wheels to drive the film and manage the feed and take-up spools. The motors are controlled by an Arduino micro-controller card and a DIY 'breadboard' circuit. The Arduino has been programmed to advance the film, trigger the Canon DSLR camera to shoot a frame, then wait a short while for the frame to be saved before repeating the process. 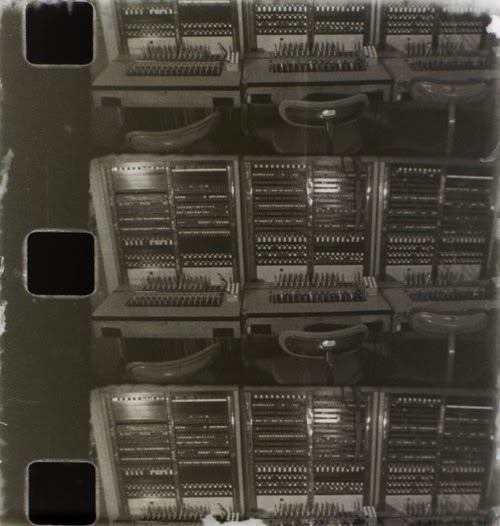 I'm pleased to say I've finally got this capturing process automated, but it does take around three seconds to capture each frame of the cine film. 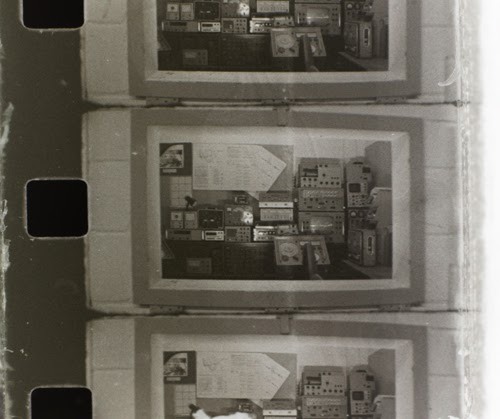 If you 'do the math', that's almost four hours to scan a whole 50 feet (around 3 minutes) of film. 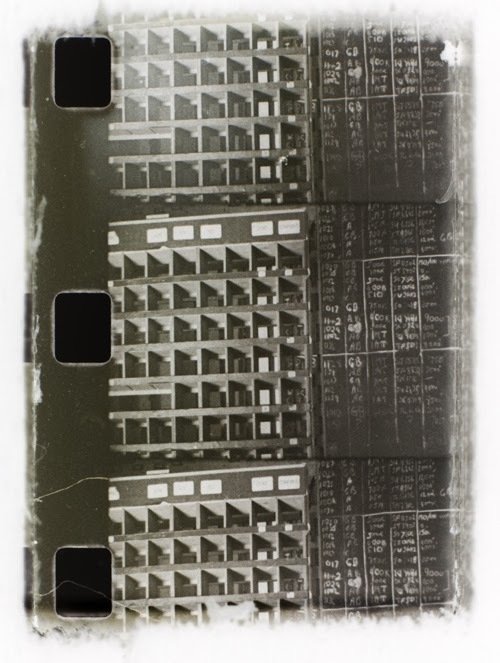 This process is very slow but does give very high-res images of the Super8 frames. The registration isn't perfect, but close enough to be fixed in post production using the After Effects stabilizer. Needless to say, this part of the process is very slow and tedious too. I hope to get back to the bunker soon to shoot more footage there. Now that I've visited the place once, I'm getting a much better sense of the place and ideas for the kind of shots I'd like to come back with. TXT ISLAND in Cable Car Screening ! My 2009 animated short film TXT ISLAND certainly made it to lots of screenings and festivals in its day, but none so 'elevated' as this weekend's screenings at the popular Austrian ski resort of Lech. In what looks to be a fine weekend of revelry and culture, animated short films are presented inside the cable car cabins for the entertainment of festival goers as they soar above the snow-clad mountains. I'm very proud to have had my film selected as part of this event. The Cineastic Gondolas Festival brings together music, film and ... cable cars, a winning combination for sure; as readers of this blog will already know... I'm really quite fond of cable cars.